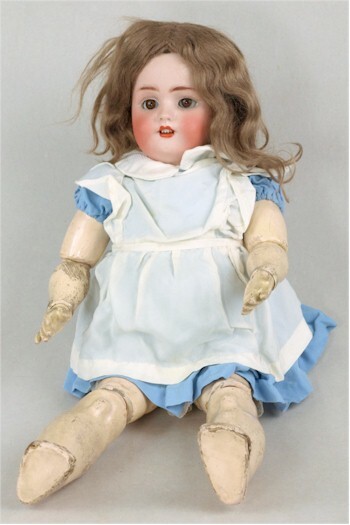 How many of us have seen toys and dolls from our childhood and been instantly transported back to those halcyon days of seemingly endless summers. Simple teddy bears from makers such as Steiff, Merrythought and Chad Valley are still loved as much as they ever were. 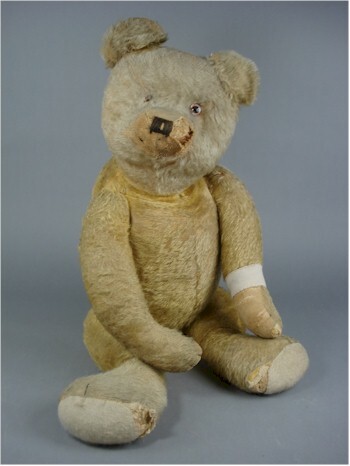 An early 20th Century blonde plush teddy bear (SC16/434), which was sold for £100 at auction in one of our specialist sales. Collectors of dolls, from makers like Armand Marseille, Heaubach and Simon & Halbig still find themselves attracted to the elegant porcelain features and hypnotic eyes of these early dolls. A Simon & Halbig bisque head doll, typical of those dolls found in our auctions, sold for £110 in our March 2013 Sporting & Collectors Sale (SC16/416).